Several posts ago, I mentioned branding efforts in Chattanooga, Tennessee, that are focusing on developing a unique city font. Those efforts apparently started when a brand consultant and a typeface designer met in a local coffee shop. That’s a charming and romantic little story, but think about it for even a few minutes and it starts to raise questions. Like, why was a branding consultant and a typeface designer hanging out in a coffee shop in Chattanooga, a Southern city barely bigger than Provo in a metro area of about the same size? The story provides anecdotal but compelling support for the argument that vibrant downtowns generate innovation, and after reading the Wikipedia article on Chattanooga it seems like a fairly happening place. As it turns out, however, Chattanooga has actually been quite innovative with rehabilitation and development efforts. This article outlines much of what is happening there, but among other things the city is trying to bring in entrepreneurs and, significantly, artists. One of the leading factors in Chattanooga’s redevelopment appears to be an organization called CreateHere, which describes itself as “a group of residents and new recruits working for arts, economic, and cultural development in the urban core.” The article linked to above notes that the goal was to seed development and turn the city into a creative hub. According to the article above, those efforts seem to be working, and they aren’t costing too much either. The more I read about Chattanooga, the more it strikes me as a place with many similarities to Provo, but where the level of excitement is perhaps even higher and, most importantly, sustained. The efforts highlighted above also weren’t multimillion dollar projects. They were small scale and they were very targeted. And ultimately, all of these efforts demonstrate an understanding that investing in art, diversity, and density generates wealth. There is an ongoing discussion in Provo right now about the commercial fabric of downtown. Some people think it should be populated by small, independent retailers. Others would like to bring in big name stores. I fall somewhere in the middle. 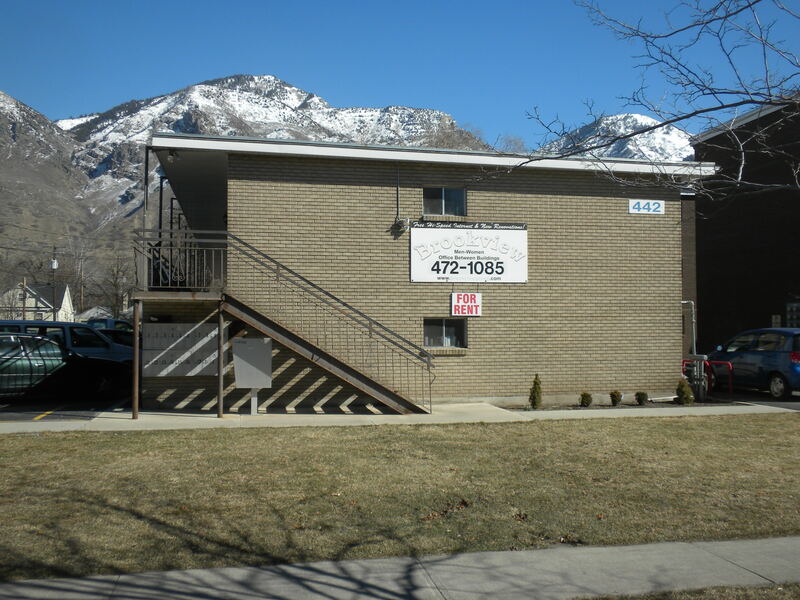 The article also points out that the benefits of having small businesses go “beyond economics.” As Provo grows and seeks to revitalize it’s commercial sector, then, it’s worth remembering the importance of small businesses to the vibrancy of the community. Going on walks is fantastic of course, and something I do often, but it’s very different from actual walkability. This New York Times article deals with the difference, pointing out that many people get out and exercise in Denver, but few actually use walking to commute or get around. And that’s the idea behind walkability: being able to go for a walk, and also being able to use walking to commute to work, grocery shop, or do other errands. And for good measure, here and here are links to definitions of walkability from Walk Score. Could This Building Someday be a Neighborhood Shop? This building is located about a block from my house. Judging from its appearance, I’m guessing it was at one time a commercial building. Today, I mostly see people standing around outside smoking, and occasionally smashing glass bottles. I believe it is or recently was being used as studio space for teenage artists, and I’ve heard an unsubstantiated report that it was once used as a music venue. But in any case, it’s pretty shabby now. That’s too bad because it’s in an interesting, walkable, and comparatively dense neighborhood. In other words, it really ought to be put to better use. Relatedly, in this article Kaid Benfield discusses the “resurrection of the corner store,” or exactly the sort of idea that could benefit this building. Benfield discusses ongoing efforts in Washington D.C. to bolster historic neighborhoods, which efforts came up on this blog recently in this post and which presumably would help corner stores. Benfield mentions that corner stores are much beloved in neighborhoods where they still exist. That assertion is in line with my own experience in Provo; when I lived in the north Joaquin neighborhood I enjoyed patronizing the relatively new South End Market. My experience with corner stores in other parts of the world has also been positive. I’ve found them to be convenient, charming and a boon to walkability. If that is the general rule, that may explain why this building isn’t a corner store today. The Joaquin neighborhood just isn’t dense enough yet. On the other hand, increased population density could potentially lead to more mixed use facilities in Provo neighborhoods. 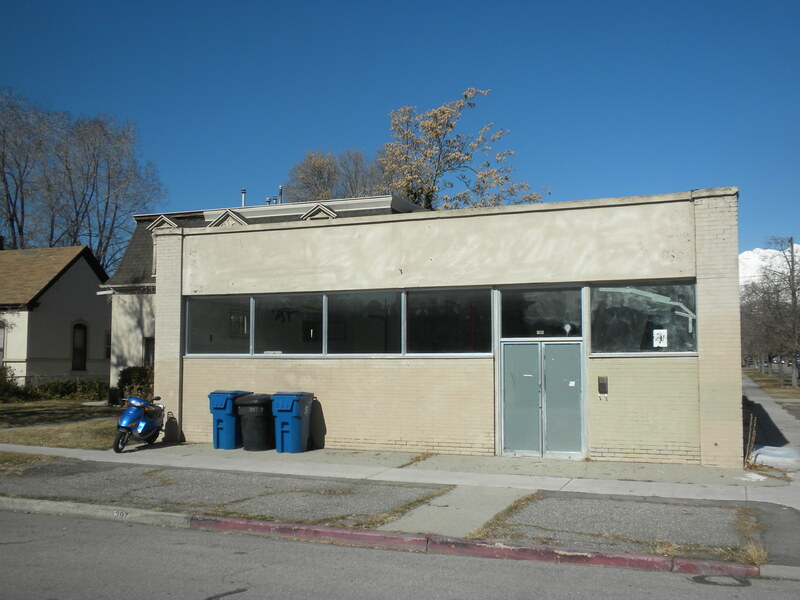 And maybe someday, this building or another like it will be just one of many corner stores in Provo. On the heels of the bad news in my last post, here is some good news: a new Gallup map indicates that Utah is one of the happiest states in the nation. That’s a bit of positive press that should help Utah’s image a bit, and it reveals that Utah is doing well in other areas; struggling states like Michigan and Nevada are on the opposite end of the spectrum, for example. Yesterday, KLS ran this story on a recent poll that found Utah suffers from an unfavorable reputation around the nation. Now, there is probably a poll that can prove almost anything. Also, the KSL story itself is kind of badly written as well, lacking much substance and using random and specific people to improperly draw broad conclusions. Plus, Utah’s economic recovery has generally been strong, suggesting that someone at least likes Utah. So all in all, it’s important to not put too much stock in this particular bit of information. But all of that said, polls like this are bad for the state, and cities within the state — like Provo. In addition, I suspect that any Utahn who has traveled outside of the state has had personal experience supporting the findings of the poll. If Utah was a teenager getting picked on by bullies, it’d be worth simply ignoring the haters. But Utah isn’t a person getting bullied, it’s a region needing to attract development. It’s thus more akin to a company selling a product, and it therefore needs to be hyperaware of its brand. That’s an important distinction to make, and one that sometimes gets lost in our culture that rightly seeks to undo personal ostracism and stereotyping. In other words, image does matter in this case. In this post and this post I talk about Provo’s reputation, and in this post I discuss “mystique.” The point of all these posts, this one included, is that Utah and Provo could be doing even better — economically, culturally, etc. — if we thoughtfully controlled our image and improved our brand. Of course, efforts are underway to do just that, but the survey mentioned by KSL is evidence of how far we have to go, and how important the process is. I’ve written before about the need to cultivate walkable streets, where pedestrians and bikers have route choices and aren’t forced to travel along the same paths as automobiles. This idea is sometimes described as making “human scale” cities, and this Planetizen article discusses, among many other things, the utility of streets with differing widths. But as I look at Provo’s layout, I’m struck simply by how wasteful it ends up being. In other words, walkability aside, we’re throwing away a lot of valuable real estate. That picture is an overhead view of the south Joaquin neighborhood (near my own home, actually) and is realitvely indicative of many parts of the city, particularly older and downtown areas. The picture shows an area about 0.3 by 0.3 miles, or, very roughly, 2.5 million square feet. You may need to click on the picture to really see the detail, but what’s interesting is that the center of almost every block is filled with parking lots. Some blocks are certainly worse than others, but only one of them isn’t covered in large swaths of asphalt. There’s much to be said in favor of this mosaic of apartments and homes. Jane Jacobs, for example, praises architectural diversity over and over again in The Death and Life of Great American Cities. Apartment complexes also increase population density, which in turn improves walkability, diversity, sustainability, etc. 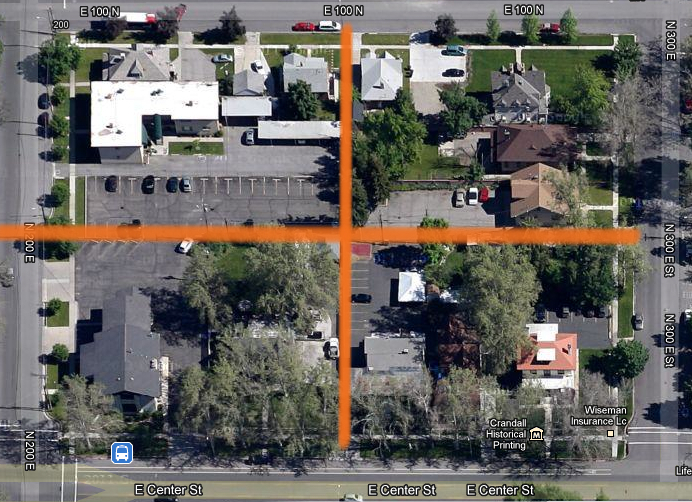 But the particular mixture of diversity and density in downtown Provo is problematic. For one, cheap apartments like the example above — and which can be seen all over in the grid picture — are widely hated by longer-term residents. They are perceived as lowing property values. They rarely attract long term residents themselves, and I don’t think it’s unfair to say that they’re not architecturally “loveable,” or beautiful, in the sense that Kaid Benfield is discussing here. So if we can agree that the ugly apartment complexes and parking lots in downtown neighborhoods are a problem, what caused the problem? And, looking to the future, how can we solve it? 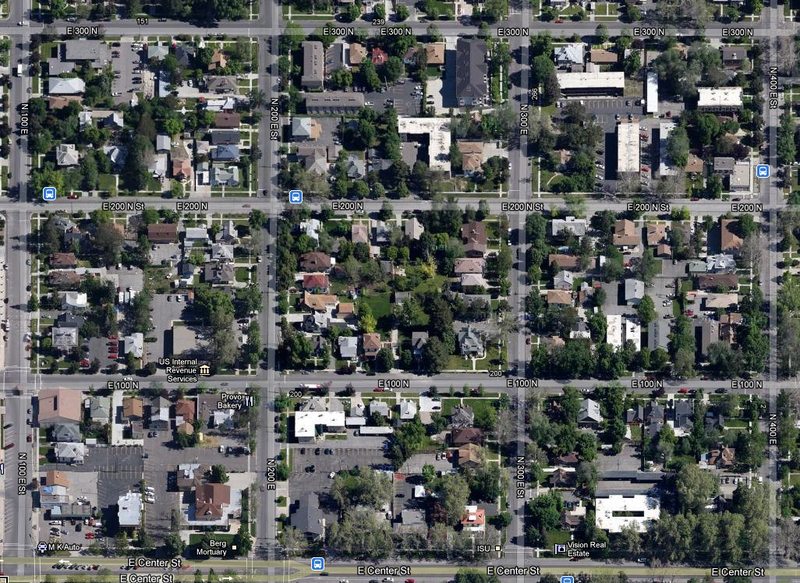 As I look at that overhead view of the neighborhood, the answer seems obvious: the grid itself is to blame. The deep lots with limited street access also incentivized the construction of narrow apartment complexes — like the one above — that turn a blank, dull wall to the street. Think about it: a single homeowner could tear down her home and replace it with a long and narrow 10+ unit apartment complex without ever acquiring any additional land. That’s a lucrative and very tempting prospect. I could do that right now to my own house, and make a lot of money (though I won’t). Many people gave in to that temptation — including many non-resident investors — creating a dull hodgepodge of ramshackle, low-value apartments. More thoughtful zoning laws could have mitigated the problem, but the reality is that the grid gave people relatively large parcels of land with very limited street access. Because people need to go to and from dwellings, limited street access is a problem. The streets bisecting the block above could be much narrower than those around the perimeter, but would still open up the center of the block for the development of single family homes, street-fronting condos, apartments or town homes. The green boxes represent hypothetical new lots in this scenario. Note that some of the boxes are as big or bigger than several existing homes in this image, even though the homes running along the right side of the block are quite large. I mention this fact only to point out that this concept could be used to implement a variety of development types. I’d personally perfer relatively high density, high-quality town home-type development — say, brownstones — but that’s by no means the only approach that would work and ideally there would be a mix of structure types. If people preferred, this approach could also certainly be used to put in a lot of nice, single-family homes as well. Some urban planning schools of thought dislike roads because they see them as inherently wasteful. But in this case, the addition of even a couple of simple, narrow roads would eliminate wasted parking lot space, increase density, and could potentially have an extremely positive impact on surrounding property values. In other words, more streets might actually mean less pavement. This concept could also realistically allow Provo to develop pocket neighborhoods like the ones discussed in this post. And of course, narrow “human scale” streets cutting through the block would be a huge boon for walkability. This idea can, and should, be seriously considered with respect to downtown because, as Jacobs argues, short blocks and frequent streets offer real economic benefits. Obviously this post is something of a thought experiment, and making this concept work would require overcoming many obstacles. But unless our goal is a city filled with massive and frequent parking lots, the current grid is wasteful and counterproductive. 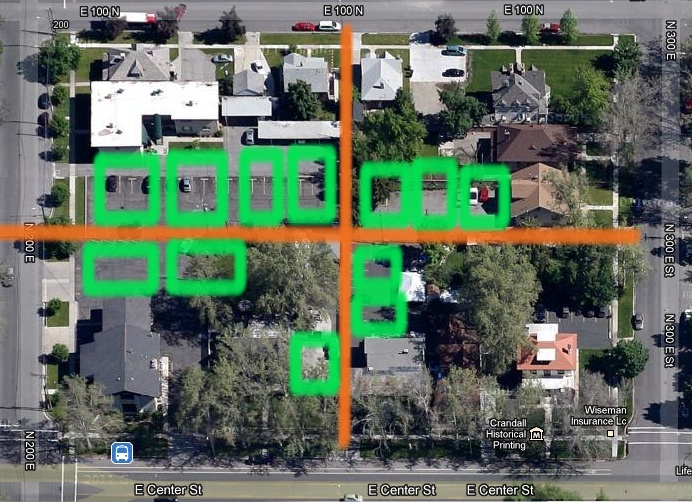 And ultimately, the collective problems plaguing Provo’s built environment, or that of any city, don’t exist simply because people act foolishly or selfishly — in this case tearing down homes and putting in parking lots. Rather, foolish and self-interested action is symptomatic of a system that incentivizes such behavior. In Provo’s case, that system starts with problems in the grid.